Via the Dealer News site, we have another candidate for Silly Scooter of the Year: the ET Scooter, which you can see at the Dealer Expo in Chicago. Continuing our bemused befuddlment with this market segment, and our incorrigible curmudgeonly ways, we didn't get too much past the 11ah batteries giving us 21 miles of range on a full charge claim. Oh well. ET Scooter is a rapidly growing enterprise. We are an emerging fashion firm which is specialized in designing and manufacturing top-grade products. Our company is located in China, professionally researching, producing and selling various kinds of outdoor sports equipment. Our company keeps in step with international development trend of fitness products. We combine the actual domestic and international situations. 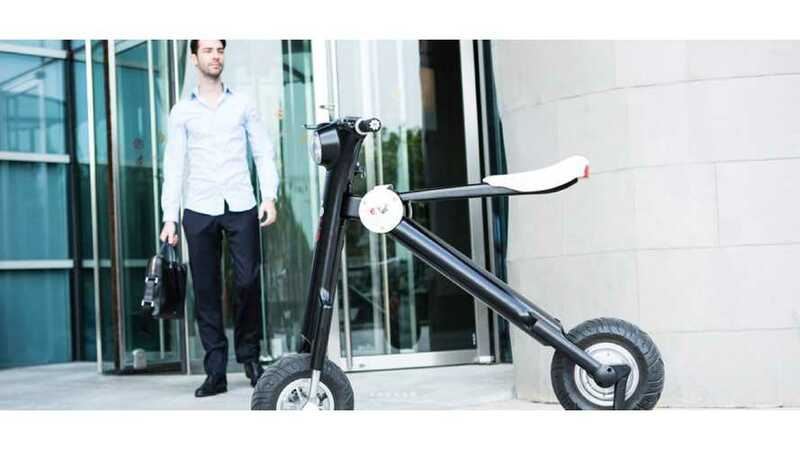 We constantly develop a variety of outdoor scooters and leisure sports products. Our company is growing rapidly. All products have CE & RoHS approved. Our products are welcomed in America, Europe, Asia, and so on. Our company builds a sound management system, a quality assurance system and a service system. We are market-oriented. We respect requirements of customers. Our mission is to guide the fitness, entertainment and sports fashion. Our company is adhering to the principle of “Honesty, Innovation, Responsibility, Service”. Our quality policy if “The Best Quality and Satisfying All Customers”. “Honest Intention, Serve with Heart and Soul” is our service concept. To provide high-quality products & efficient services is our eternal pursuit. We uphold the management idea of “People-Oriented, Harmonious Management”. Our company puts great emphasis on the cultivation of talents, committed to building a fair, competitive, motivating and efficient employment mechanism. We encourage employees to develop individuality to maximize the potential of human resources. We sincerely hope to cooperate with more customers at home and abroad to create a better future hand in hand! Decidedly not exclusively EV, or even single-product oriented. And yes, our first question answered - where does the rider stand? "When riding, the rider rests his or her feet on two foot pegs located near the rear wheel." So this is all bringing us down to the aforementioned "Silly Scooter of the Year" soon-to-be-a-real-contest. What do you think the rules should be? Categories? Or just, flat-out silliness? We are thinking there should certainly be a Grand Prize of Awesomeness for "The Scooters that Actually Get Sold and Delivered and Ridden".